Look what we are up to! 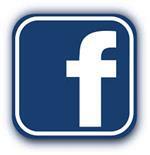 PTO members are encouraged to join our Facebook group! You can also click HERE to sign up for PTO reminders via text!! What is the Lawnton PTO? The Lawnton Elementary PTO is an organization designed to work as partners with the administrators, faculty and staff to ensure that Lawnton Elementary continues to be a great place for our children to grow and learn. Our mission is not only to raise money for the school, but also to supplement and enrich the educational experience of all students attending Lawnton Elementary School. By providing a forum for interaction and understanding between parents, teacher, students and their families, our goal is to provide a framework for coordinating fundraising and volunteer efforts for the purpose of purchasing instrumental items and funding events, activities and school enhancements that would not otherwise be provided within the school budget. Who belongs to the PTO? All Lawnton Elementary parents and teachers are encouraged to join the PTO. Relatives, friends and neighborhood businesses are also encouraged to join. It is your opportunity to become involved in the many activities that are sponsored through the organization. PTO membership is a terrific way to meet other parents and neighbors with similar interest and goals. Many great friendships have been the result of working together on a project. Children take pride in their parent’s involvement in their school. Everyone is welcome! Excellent public schools benefit the whole community. Why should I join the PTO? Your children want you to be actively involved with their lives. Getting involved in your children’s education shows them that you value school. In addition, working with the PTO gives you another avenue to become an essential member of your child’s educational team. By doing so you will be working alongside teachers and faculty to shape the future of your child. Who is in charge of the PTO? The PTO Board consists of six executive officers. There are also the school principal and teachers involved in the meetings and committees. Program chairs lead the various committees. Any parent who is a due paying member of the PTO may and is encouraged to serve on the Board. How is the PTO funded? There is an annual PTO membership fee of $5.00 per family. In addition, the PTO sponsors various fundraisers throughout the year. We realize that due to busy schedules, many people are not able to donate as much of their time to the PTO as they would like, but we still encourage families to support the school and volunteer to be a part of the organization. Why does the PTO sponsor other fundraisers? The PTO will spend a lot of its time and resources carrying out fundraising to provide funds for the purchasing of instrumental items and funding events, activities and school enhancements as well as financial aid solely for the benefit of Lawnton Elementary School and it’s students. The PTO relies on parent volunteers to accomplish these efforts. We need your help! The PTO needs your help in many ways. The first way you can help is by joining the PTO annually. Another way to help is to volunteer within the organization. Our various programs and projects require hours of manpower and a wide variety of skills. There are many opportunities for working parents to become involved as well. What do our funds provide?